Battersea Dogs & Cats Home wants to end backstreet breeding – and you can help. Shockingly, there’s an unseen world of backstreet breeders that cruelly force dogs to breed repeatedly. These mother dogs have no quality of life and their puppies are sold indiscriminately for profit. Anyone who cares for animals can see that this practice is wrong and must be stopped as soon as possible. In response to this terrible situation, Battersea Dogs and Cats home have started a campaign to end backstreet breeding and you can help end this cruel practice. Across the country, female dogs are being viciously exploited to make money for unlicensed breeders again, and again, and again. This has to stop. Not only are the dogs abused during their time as forced mothers, often they are abandoned when they’re no longer of use. The products of backstreet breeding, the puppies, are also frequently neglected and sold with behavioural and health problems already present. Click here for more information on backstreet breeding. This month we have teamed up with Duck Soup Company, the inventors of the Dicky Bag, who now offer a full range of other fabulous neoprene products, to make life that little bit easier! They are very generously offering one lucky Good Dog Guide winner a set of their ingenious products, there’s something for every member of the family, from the pooch to the new born baby! The material Neoprene, they use to make their products is also used to make wetsuits, it’s durable, lightweight, waterproof and washable, airtight and leak proof, making it perfect for a full range of products that can be used for dog owners and everyday family use. The Dicky Bag – A carrier, with odour prevention devices, to put those awkward plastic bags containing dog’s poop in until you get to an appropriate disposal point – leaving your hands free and prevents inappropriate dumping of plastic bags of dog waste in the town or countryside. Dicky Treat Bag – Ideal for storing clean pick up bags and dog treats. It is easily attached to your dogs lead and saves having every coat pocket stuffed with plastic bags and biscuits. Hugo and Barney – Two different sized bags which include a shoulder strap, as well as two loops cleverly positioned for you to be able to attach in a multitude of ways such as to your buggy, bicycle, bag and rucksack. The flexible, lightweight and slimline designs will be invaluable for on the go mums, packing picnics, lunches and beverages, with it’s thermal properties are advantageous for keeping food and drinks at an ideal temperature. Also perfect for swimming gear, sports kits, muddy shoes and even nappies. Butler – The lightweight and slimline design is invaluable to pack your growing child’s drinks for school, a healthy snack lunch of juice and fruit for a trip to the park and so much more. Matt – The non-slip mat is warm, hygienic, durable and quirky – perfect for changing your baby’s nappy, keeping dry on a wet floor or as use for a shower mat at the gym. I’ve been planning on taking my dog away. He’s a Glen of Imaal terrier called Jeff and I really don’t want to leave him in the hands of a kennel or pet hotel. 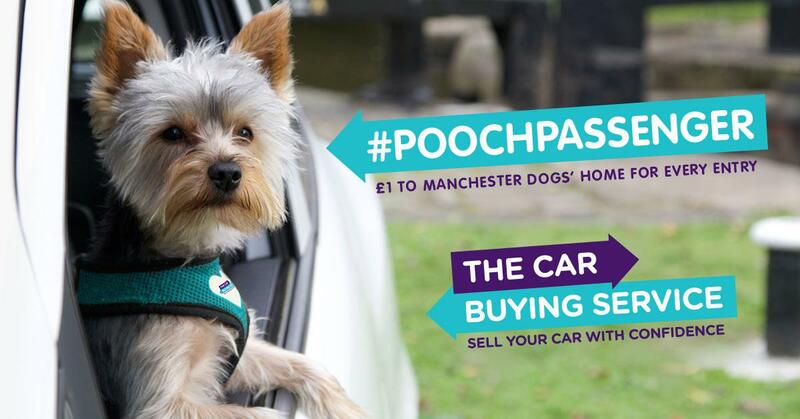 The pet passport has meant that it’s so much easier to keep your pooch with you at all times. There is nothing worse than getting home from a holiday to a stroppy dog who is moping around because he thinks you’ve abandoned him. It’s not as easy as just hopping on a plane with your dog and hoping for the best. It took a fair amount of planning to get everything arranged for the trip. I decided to take Jeff to Lanzarote, so did some research into which of the hotels on the island would allow pets, deciding in the end on the hotel Iberostar Papagayo in Lanzarote. It took me a while, so do ring around to find a hotel at your chosen destination that allows pets in the rooms. First thing first was to make sure Jeff was ok to travel. He’s only three, so in the prime of his life. Older pets may have issues with the travel and change, so go to your vets to make sure. You’ll need a record of vaccinations, plus a microchip in case your dog wanders off anywhere when you are away. Check your airlines reputation for pet travel. There have been horror stories about a certain American airline’s way of handling pets in transit. Ensure that the carrier you have for your pet is the right size. Too big or too small could cause issues. Don’t leave your pet on the lead in the carrier as they might end up choking themselves. Food can be an issue in foreign clines, especially if you have a fussy pet like I do. Jeff refuses to eat anything apart from the best steak or Iams, so I had to pack enough for the week. 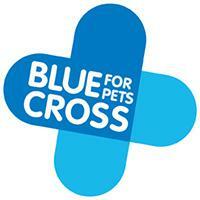 You will also need to make sure that your pet can deal with the water if you go somewhere with dodgy plumbing. Take water from home and mix with the local tap water to get their stomach used to it, or just give your dog the same bottled water that you have. Bottled water is generally much cheaper in hot countries than the UK, thankfully. If your dog has a long coat, you can get them a haircut before you go, but be prepared to get some funny looks off people if like me, your dog ends up looking like a demented tiny lion with a trim. This is our guide for having the best time in West Cornwall with your dog, without having to leave them behind. Having a smooth time with no stress is what everybody wants on holiday and trying to find places that are dog friendly can become a hassle, particularly if you get there and find out they are not; so this is a chance to find out where the best places in West Cornwall are to go with your dog. There are a number of holiday parks in West Cornwall that will accept you and your fury friends, ranging in price and location; there is plenty of choice. The choices for West Cornwall start up at Hayle and go all the way down to St. Ives with plenty of choice in between. Prices for a weeks stay generally range from £99 – £1500, which is dependent on the size of your party and budget, but there really is something for everyone. Holiday cottages can be a fantastic form of accommodation that are extremely comfortable. One of the best selections of holiday cottages available to book that are dog can be found at West Cornwall Cottage Holidays – they fully understand just how important your four legged friends are to you and don’t want to see them left behind in kennels or with friends. They actively encourage their cottage owners to accept dogs. While there may be fewer dog-friendly hotels in West Cornwall than other forms of accommodation, there are some lovely places that you can stay in. For instance, the Mullion Cove Hotel is dog friendly, and has some wonderful sea views with prices per room per night starting from £100. There are many beautiful views in West Cornwall, which can be provided by many hotels, it just depends on your preference as to where you want to stay. Bed and Breakfasts can offer a very warm and comfortable environment where you can relax and feel like you have a home from home in a holiday destination. With your dog and family this will be the cozy holiday at the English seaside you really want. The Elysian Fields is an example of the type of bed and breakfasts that West Cornwall has to offer. 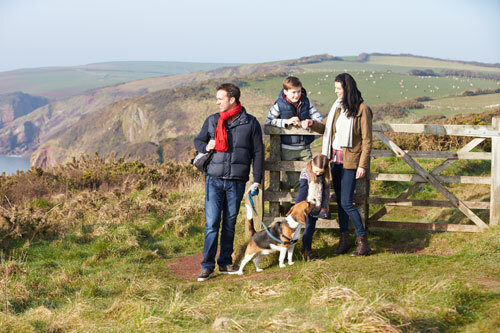 There are a lot of dog friendly campsites in West Cornwall, which can offer you everything you need when holidaying. The prices range massively from £15 to £250 so whatever you need it can be catered for. Campsites are a great place to take your dog on holiday as there are a lot of open spaces to go on walks and the campsites are often placed in a good location for easy access to local tourist attractions and also hidden coves, if you want to get away from the busier spots. Although there are some smaller, tucked away beaches that wouldn’t mind dogs on them, it is always best to make sure with the local authorities before taking your dog onto them. Finding somewhere to have a drink or a bite to eat is a key part of your holiday and can be a place where you have some of your best memories so to have to leave your dog outside while you do so is always a shame, as you have to check they’re ok and feel rushed when inside. Therefore, thankfully, West Cornwall has a lot to offer in accommodating man’s best friend; allowing all of you to go inside and have a fantastic time together. A big part of taking your dog on holiday with you is trying to find walks that are interesting, fun and safe, and when looking for this West Cornwall is one of the best places. The beauty of walking in Cornwall is that while going on a seemingly normal walk you can come across some wondrous forms of nature, you can see sublime cliff edges, bright blue seas or find a great secluded walkway through fields and trees. 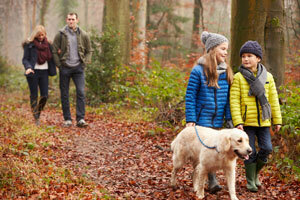 Walking in Cornwall is a real place to get in touch with nature alongside your family and pets.